Family Law Estate Planning Lawyer | Menomonee Falls | Law Office of John F. Zeckel, S.C. Principal attorney John F. Zeckel has dedicated his long and impressive career to providing high-quality legal counsel to his valued Wisconsin clients. 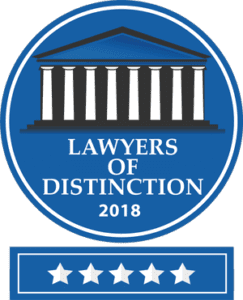 Practicing since 1984, he has spent over 30 years effectively and compassionately tackling family law, estate planning, and probate issues for individuals and families in need of trustworthy representation. Mr. Zeckel is known for his professionalism, approachability, attention to detail, and success in his cases. He tends to build strong relationships with his clients based on trust, respect, and empathy. He is also highly regarded by his peers and opponents in the legal industry and maintains important relationships with local law enforcement officials, judges, prosecutors, and other professionals. These contacts serve his clients well. The Law Office of John F. Zeckel, S.C. provides exceptional legal representation for clients in Menomonee Falls, Waukesha County, and Washington County in the areas of family law and estate planning and probate. Contact our office today at (262) 255-2050 to schedule a free consultation with an experienced and respected lawyer.